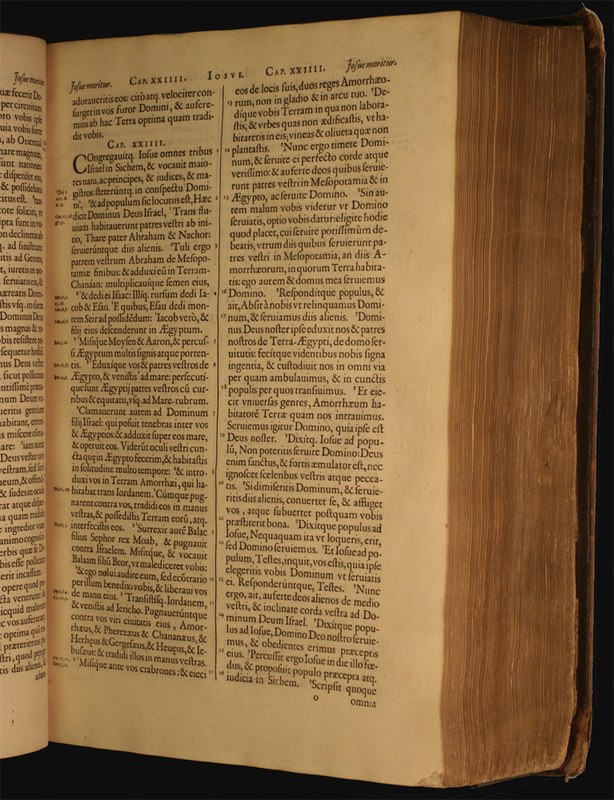 Biblia Sacra : quid in hac editione a thrologis louanien sibus praestitum sit, eorum praefatio indicat. Antuerpiae : Ex officina Christophori Plantini, 1583. Red leather 17th cent. 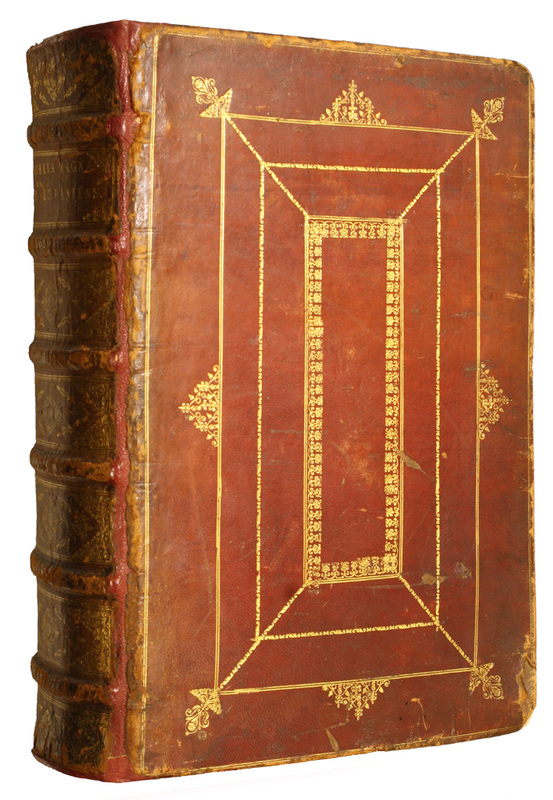 Scottish or English binding, in ’cottage’ style, gold tooled, six raised bands, marbled endpapers, edges gilt. Typeface: Roman by Garamond; Italic by Granjon; two Hebrew faces cut for Daniel Bomberg; Paragon Greek of Granjon; Pica Greek of Pierre Haultin; Syriac cut for Plantin by Granjon; text set in Reale Romaine, 20pt. Frontis. and six other plates engraved by Abraham de Bruyn after drawings by Crispin van den Broeck; thirty-six plates drawn by Pieter van der Borcht and engraved by de Bruyn and Wiericx.